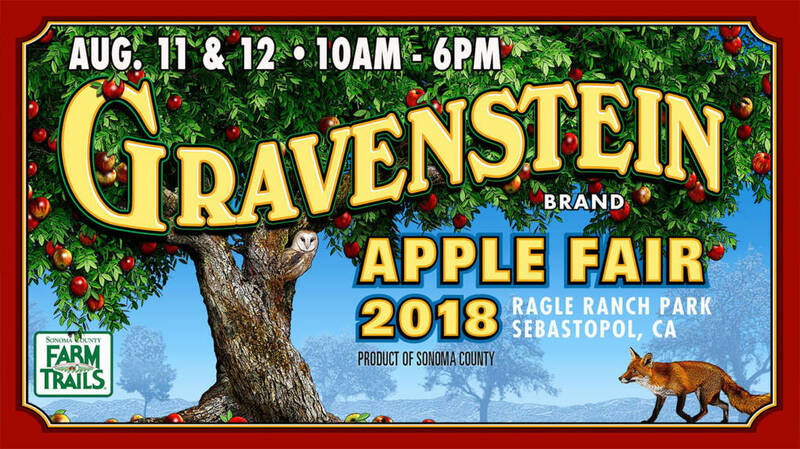 Sonoma County Farm Trails presents the sweetest fair in Sonoma County, the Gravenstein Apple Fair on August 11 & 12 at Ragle Ranch Park in Sebastopol. Enjoy farm-to-table food, local libations, live music, arts & crafts, DIY workshops, and activities for the whole family, including the new Agrarian Games. Visit GravensteinAppleFair.com.